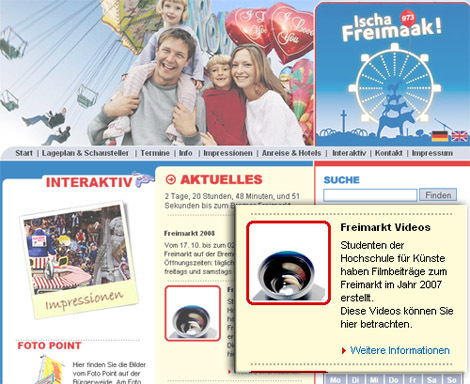 Starflyer a short clip I did with some other fellows is being shown, this time in the Freimarkt Bremen web-site. There, under Freimarkt Videos is the link to Starflyer and to Our youth another clip done last winter term. In the picture you can see where to click. For more information about starflyer and the youtube version please visit here. Many thanks for any comment! foni? To mavro skotadi tonizi afti ti foni olo ke perisotero. Prepei na ksefigo. Alla apo tin alli niotho kolimenos mazi tis. foni tis, to soma tis, i zestasia tis. Pragmatika einai i proti fora pou niotho kati san ki afto. sokolata…giati ksafnika thimithika tin giagia mu tora? Panta fovotane tis kales stigmes. Eimai megalos gia na ta skeftome afta tora? ke kurasmenos. Oles aftes i stigmes ine tora sa dakria kato apti vrochi. enas kalos logos na perimenis to epomeno. Computer graphics in the early 70’s, computer art by Norton Starr, he opened today’s seminar. His visual works started when he discovered, back in the 70’s, that the computer could visualise what he as mathematician had in his mind as formulas and equations. The computer could be set up to produce those graphs by following certain instructions being fed by the human. Certain pieces could not even been drawn by the human hand but still representing human aspect a very special kind of conflict between the computable and the malleable. His method: introducing small changes in a predefine structure to produce big changes, most of those small disturbances are just experiments with the mechanic, he called it a mechanised sort of aesthetic. I would say rather sublime than mechanised, found it by accident. Sublimed as an aesthetic category that overcomes our understanding that is beyond our very control, he him self was amazed when the machine by a random “failure” produce something was not supposed to, something he himself could not even program. The Aesthetic of the sublime in a discreet machine. Mark presented and discussed his 29 inches novel and the Grammatron, both highly randomise and non-linear narratives works. Cyberpunk literature, dotcoms boom, and discovering the potential of the hypertext as a new artistic media. Works immerse between the popular culture and the sciene of writing. When the author loses the control of a vast random machine that generates links, connections and threads of a particular text when it is read (used?). The machine takes over. Again the experience is sublime, but in this case I would say the one who does experience it, is the author, the reader (user, interactor?) does not. Those examples today showed artists, scientists and designers taken control and driving the media toward creative and experimental arenas, but somehow through commodification those areas are taken over by companies and corporations. In those scenarios is hard to experiment and play, and works there become rather formulas and homogeneous, standard, where the unpredictable rarely occurs. Marks conclusion was: the work of avant-garde people should be to open up new places, by a creative destructions. Today’s text is the Greek version of: Dreaflow.